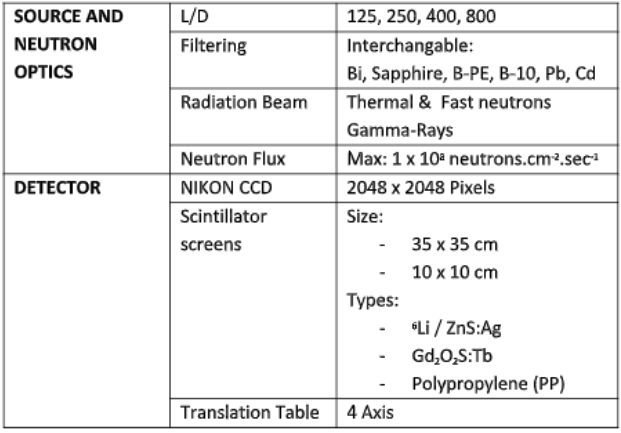 The Radiography and Tomography (RADTOM) Section develops and uses techniques to optimize utilization of neutron and X-ray radiation, as non-destructive probes to investigate objects and materials for pure and applied research. 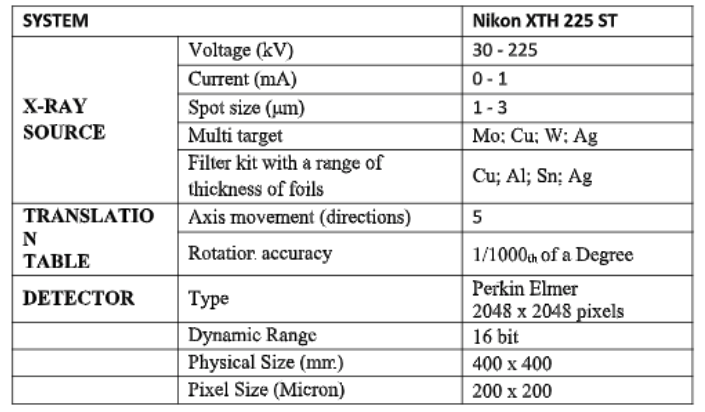 The output from the instruments is in the form of neutron and/or X-ray radiographs (2D) or tomograms (3D) which are analyzed on high performance computer workstations to extract research information relevant to a given application. The direct and indirect (through users) research output is mostly in the form of research publications, Honors theses, MSc theses, PhD theses and research reports. The group renders expert instrument scientists support to researchers and students using the equipment and undertake new technique development to support users and to enlarge the application scope. Contract research and non-destructive analytical services are offered to industrial clients on a commercial basis. See full description and characteristics here: http://www.ndt.net/article/wcndt2012/papers/37_wcndtfinal00037.pdf . Healthy collaborative relationships exist with several local and international palaeo-scientists and with curators at the DITSONG Museum for Natural History (DMNH) and at the fossil repository at the University of the Witwatersrand (WITS) exists. To make study objects and scanning facilities conveniently available in one location, a project was initiated to determine the feasibility of establishing communal fossil preparation and storage facilities at Necsa, near the X-ray and neutron tomography facilities. This laboratory is envisaged be managed and operated by a consortium of users and stakeholders. The aim is to increase the quality and quantity of palaeo-science research in the country. A pilot chemical preparation system is already operating. Bakeng se Afrika is a project that aims to create a comprehensive digital imaging database in which South African scanned skeletal will be curated. The server for the database of non-living individuals will be stored at the South African Nuclear Energy Corporation (Necsa), and for living individuals in the respective hospital archival systems. The applicable data will be uploaded online for dissemination not only to partner Universities but also other national and international research groups following adequate ethical approval of research and author permission. A scientific exchange between South Africa and Europe and interdisciplinary research are envisaged to enhance research expertise and to improve outcomes based on more extensive and representative data. The European Spallation Source (ESS) is a partnership of 15 countries committed to the goal of building and operating a world leading facility for neutron beam research. The organisation officially became a European Research Infrastructure Consortium (ERIC) in October 2015. The facility is under construction in Lund, Sweden and is now 43% complete. Its unique capabilities will greatly exceed those of today's leading neutron sources, enabling new opportunities for researchers in many fields, including material and life sciences, engineering, energy, the environment, cultural heritage and fundamental physics. South Africa, through the DST has recently become a partner in the ESS development program BrightnESS-2. The goal of the DST is to establish a bilateral collaboration framework between ESS and South Africa with Necsa and iThemba LABS to be the only neutron related national institutions involved with neutron research activities. 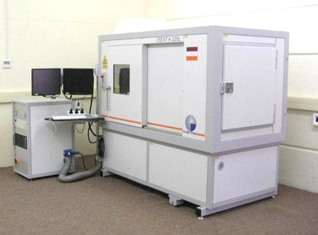 In order to provide local and international researchers with world-class capabilities, Necsa embarked on the upgrade of the neutron beam line instruments at the SAFARI-1 nuclear research reactor, which includes the installation of a state-of-the-art neutron radiography/tomography facility. 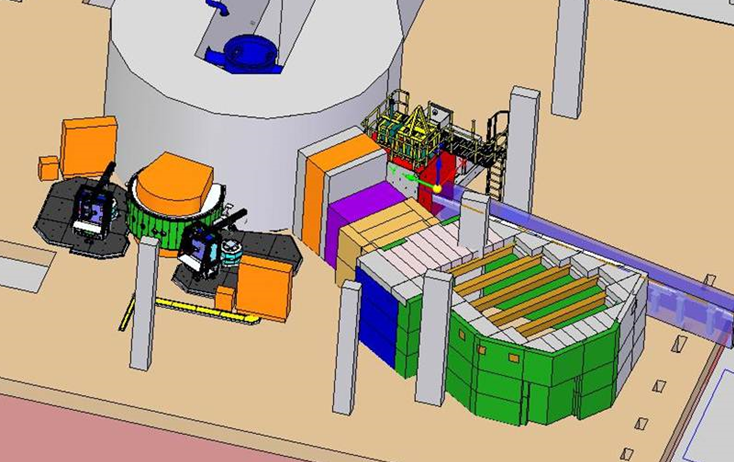 The concept design of an upgraded neutron radiography (NRAD) beam line named INDLOVU (Zulu name for Elephant – one of the “Big Five”) (“Imaging Neutron Device to Locate the Obscure and Visualise the Unknown”) has been finalised and the documentation for legal requirements, safety, electronic and control systems are in the approval stage, thereafter facility assembly will commence. The upgraded NRAD facility will be unique in its application format as it will be able to perform, through selective filtering, not only thermal neutron radiography but also utilise individually, the full radiation beam, the intermediate or fast neutron spectrum as well as the gamma-ray component of the radiation beam. It is envisaged that this facility will be commissioned by Dec 2020. Support is rendered to the National System of Innovation by hosting researchers from local and international academic institutions and to provide them with instrument scientist support and training to use the facilities. Contract research and non-destructive testing services are on offer on a commercial tariff basis to interested industrial users. Request for beam time can be made to any instrument scientist of the RADTOM section or by sending an e-mail to the USER OFFICE: radtomnecsa@gmail.com .